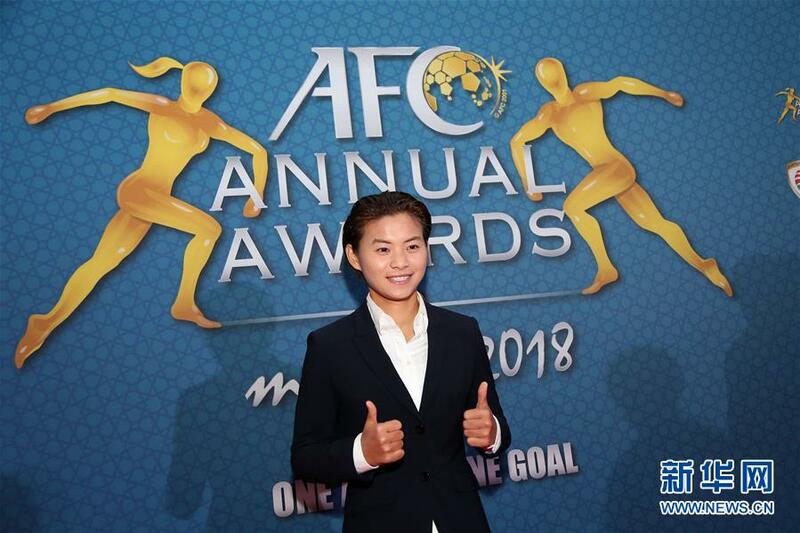 Chinese footballer Wang Shuang felt "a bit different" as she returned to French league on Saturday with her Asian Football Confederation (AFC) Women's Player of the Year award. Wang, the fourth Chinese footballer to win the award, came off the bench in the second half in Paris Saint-Germain's 2-0 home victory over Soyaux-Charente, extending the team's unbeaten streak to 12 matches since the start of the campaign. "There is indeed a bit difference," Wang told Xinhua. "I feel more confident and can better display my skills on the pitch now. The award has just arrived at the right time for me." Wang thought that as a young team, PSG are prone to lose a bit mindset after failing to open the scoring. "We broke the deadlock in the second half in these two matches. I feel that it requires some veterans in our team to play a bigger role in motivating young players," she said. For Wang, her form has been going up as matches go underway, which gives her every reason to feel happy. PSG will visit Paris FC in next Sunday's derby. Wang scored a stunner in the two sides' last meeting back in September.